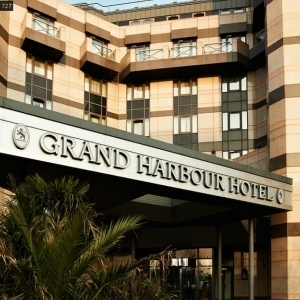 The ICT for Education national conference programme reaches Southampton on 17 May 2013 at Grand Harbour Hotel. Meet the experts, network with peers, solve practical problems and discover new resources in just one short day - free of charge! Pick up your conference badge(s) from Reception on the day. If you would like to bring colleagues, they can register before the event or on arrival. We look forward to meeting you in Southampton. School leaders are increasingly expected to have expertise across a wide and sometimes specialist set of issues. Mike will offer his view of how things are changing and share ideas about how school leaders can exploit ICT for learning and efficiency without having to be technical experts. Ten years ago, key staff at Perins School wrote a wish list for how ICT would look in 2013. The first half of this presentation recaps the journey one ‘bog standard’ comprehensive made to become a school which has “outstanding provision for ICT”. Not willing to wait another 10 years, the second half of the presentation will predict the next big things in educational ICT. Shirley Warren provides children with an engaging and creative curriculum to support their learning. The use of ICT is an integral and embedded part of this process. This presentation will describe the wide and beneficial use of ICT across the school. Panel members: Mike Briscoe, director, IET Associates; Gideon Williams, director of e-learning, Perins School; Kieron Kirkland, head of research, Nominet Trust. Gideon Williams is director of e-learning at Perins School in Alresford, Hampshire. A passionate supporter of VLEs, e-portfolios and Web2 tools, he is considered visionary by his 12-year-old son and a sad Twitterman by his ever-patient wife. Gideon can be found at @gideonwilliams on Twitter. Helen has been assistant head at Shirley Warren since 2009 and works as a teaching and learning mentor to develop opportunities for ICT and cross-curricular learning. Working in Tanglin Trust School Singapore for eight years previous to this, Helen was part of a working party that led staff development for 200 staff in the use of Promethean interactive whiteboards. The Ministry of Education in Singapore also sent staff to Tanglin Trust School to train. At Shirley Warren, Helen also leads presentations on the use of ICT in specific subject areas. Kieron is the development research manager for Nominet Trust, a social investor that funds and supports projects that use digital technology to develop new and disruptive approaches to social challenges. He leads the trust’s work on impact assessment and learning. Before joining the trust, Kieron worked as a learning researcher for Futurelab, where he led a number of digital programmes on games-based learning and young people’s rights and entitlements. Take the M3 South and leave at Junction 13 to the M27. Exit at Junction 3 to the M271, and follow signs to Southampton Waterfront. Parking for delegates is free on the day. NB: As you enter the car park you will take a ticket, please swap that for a free exit pass when you register with our front desk In the Mayflower lounge which is on the ground floor.